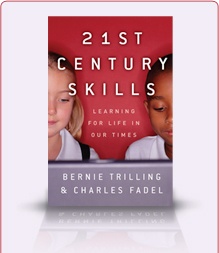 Springer-Verlag has just announced its 7-volume “Encyclopedia of the Sciences of Learning” which features an entry by Charles and Bernie on “21st Century Skills”. It also features an entry by Charles and Cheryl Lemke (Metiri Group) on “Multimodal Learning through Media”. This entry was posted in Media, Miscellaneous, News by charles. Bookmark the permalink.